When the Revolution broke out Schenectady was already an old American city — over 110 years old. It had survived the Schenectady Massacre of 1690 and had become an important river port on the Mohawk River as well as an industrious town on the Albany Road. In 1775, a Committee of Safety and Correspondence was formed and troops were raised for the defense of Fort Ticonderoga. The Schenectady and Albany committees frequently cooperated with the Tryon County Committee. Later, when the Continental Line was organized, the men from Schenectady who enlisted for the war were assigned to the First New York Line, Colonel Van Schaick's regiment. Built in 1705, as a temple stockade. Rebuilt in 1735, of heavy hewn timbers set on a stonewall ten feet high. Fort was one hundred feet square, with blockhouse at each corner, twenty-four feet square and twenty feet high. Was capable of holding three hundred men. Entered by a large swinging gate, raised like a drawbridge. Six cannon commanded the approaches from all sides. Open square within, was used as a parade and drill ground. Taken down during the Revolution, the timbers were used to frame the soldier’s barrack, at the corner of Union and LaFayette Streets. Tablet erected by Common Council on Centennial Anniversary of Incor-poration of City, March 26, 1898. The town was fortified and garrisoned during the war. There was a stockade enclosing the village with blockhouses at the angles and there was a fort at the junction of Ferry and Front streets. The General Hospital for the Northern District and barracks for the troops were located east of the stockade on Union Street near today’s Union College. Numbers of American soldiers, who were wounded in valley conflicts, were brought to Schenectady by river for treatment. Schenectady was a haven of refuge during the Revolution for the people of the Mohawk valley fleeing from British-Indian raids along the river. It was also the starting point for several American military expeditions. The most important was that which left Schenectady for Canajoharie in May of 1779, under the command of General James Clinton. Washington occupied N. E. bedroom, second floor on first visit to Schenectady in 1775. 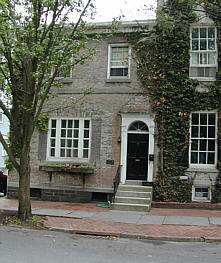 John Glen House — George Washington was entertained and lodged here in 1775. He occupied the bedroom on the second floor to the right of front. Washington visited Schenectady several time during the Revolution, each time to inspect Schenectady’s fortifications. Washington visited here in 1775. 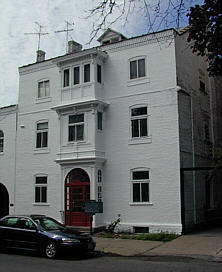 Later became Schenectady Female Academy. Robert Sanders House — Washington also visited this home in 1775 for tea. 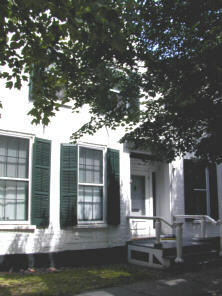 The house was built in 1750. 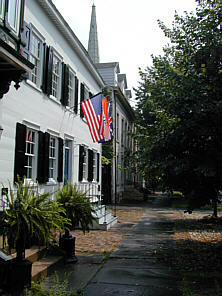 Schenectady Historical Society — The society houses collections from the colonial periods including the Revolutionary War. The “Sons of Liberty” flag carried by the First Line of New York during the war can be found among the collections. 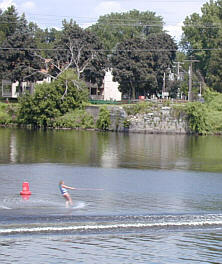 Riverside Park — Historically, this area along the Mohawk River was the beginning of navigation on the Mohawk River. Soldiers, settlers and traders headed west from the port that once thrived here. Boat builders made river bateaux and warehouses lined the riverbank filled with grain, salt, potash, furs and other goods that were loaded and unloaded from these boats. Ferrys moved back and forth across the river. John Baptist Van Epps was a fur trader and also operated a fleet of boats. At this site he ran the ferry dock at which, George Washington landed on one of his visits to Schenectady. As noted by a marker near the park, one soldier that landed at the port was George Washington. The port was a part of one of his inspection tours during the Revolutionary War. A cannon in the park reminds us that the river formed a geographic barrier that helped to protect Schenectady from attack during the war. Circa 1748-1785, House of Colonel Christopher Yates, leader of the Sons of Liberty, chairman of the Committee of Safety, ca.1771-1776. 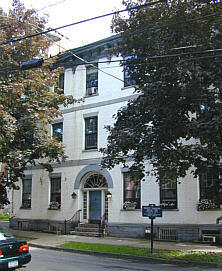 Colonel Christopher Yates House — Yates served in the New York Militia during the Revolutionary War. His son, Joseph C. Yates, was governor of New York in 1823. 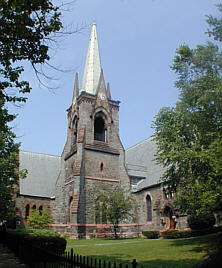 First service of the Episcopal Church in Schenectady was held by Rev. John Miller, in 1695. Erection of present church edifice was begun in 1759, and was several years in building. First Resident Clergyman was Rev. William Andrews, 1773. Sir William Johnson was a frequent worshiper here and contributed liberally to its erection and support. The tower, originally of wood, was rebuilt of stone in 1870. Schenectady Centennial Tablet, March 26, 1898. 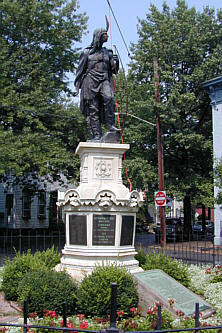 Replaced 1936, Nathaniel Spalding, City Historian. St. George’s Episcopal Church — The congregation was first organized in 1735. 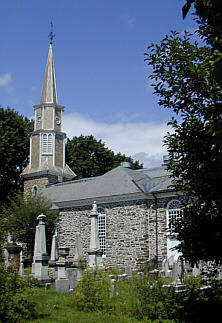 The foundation for the present church was laid in 1759 and completed in 1762. Its construction was, in great part, financially supported by Sir William Johnson, who was given his own pew for his own use. The church is among the oldest in the state. During the Revolution, the building was used for a period as a barracks for Continental Troops. Yates House — The home is one of the oldest homes in the stockade. This was at intersection of Union and Church Streets built 1734. Taken down and rebuilt on present site 1814. Burned 1861 and rebuilt 1863. East corner of these streets, eight persons were killed, and on south west near Washington Avenue on north side of Union Street, two were killed and seven taken prisoners. Dutch Church — The church is home to the oldest congregation of the Stockade, ca. 1680. Built before 1700 by Hendrick Brouwer a fur trader, who died here 1707. Sold 1799 to James Rosa, Supt. Mohawk & Hudson R.R. 1831. Rosa House — The house is also one of the oldest in the stockade. As indicated by the marker, it was built before 1700. On June 11, 1825, Major General Marquis de LaFayette, soldier, statesman, citizen of France and of the United States, was the guest of the Honorable Joseph C. Yates, Governor of the State of New York. Erected by the American Friends of LaFayette, May 20, 1961. 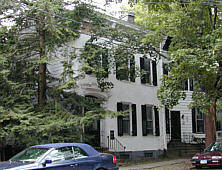 Governor Yates House — Joseph Yates, son of Colonel Christopher Yates, was the first mayor of Schenectady and the 4th Governor of New York. LaFayette was entertained here during one of his visits after the war in the early 1800’s. Room and Board for the Evening —There are a couple great possibilities for room and board in the Schenectady area. 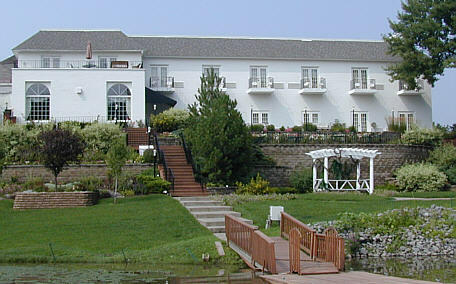 The stockade has a B&B, the English Garden B&B (518-372-4390). Nearby is the Van Dyke (518-381-1111), a great spot for dinner and evening jazz entertainment. Head of navigation on the Mohawk, this thriving gateway port funneled traders, soldiers and settlers west for over 160 years. Warehouses — filled with furs, grain, salt, potash and other goods — lined the far bank of the Binnekill. Hundreds of river bateaux and later Schenectady boats were made in nearby boatyards. General Philip Schuyler departed this site August 21, 1792 to survey the Mohawk. His western inland lock navigation company (1792-1820) pioneered the way for the Erie Canal. The harbor was destroyed in the great fire of 1819. Another possibility is on the north side of the Mohawk River where Continental Officers were once entertained. 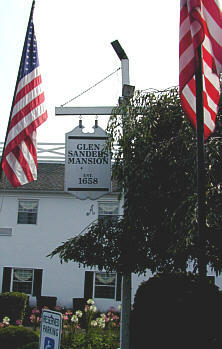 Today, the Glen Sanders Mansion (518-374-7262) is still a great place for dinner and an overnight stay. Near the mansion is a Gateway Landing marker that is in a small park near the water’s edge. 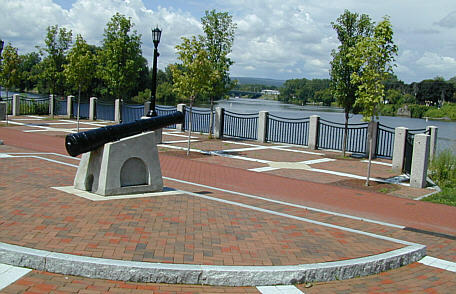 On the marker is a depiction of Schenectady Harbor in 1814 by L. F. Tantillo. Erected in 1713, officers entertained here in Revolutionary War. As noted by the marker, the base structure of the Glen Sanders House was built in 1713. Appalachians, forcing a growing population to remain on overcrowded farms with failing soil and limited opportunities. Accounts from returning Revolutionary War soldiers about spectacular lands beyond the mountains inspired generations of easterners to dream of moving west. The story of the Mohawk Valley, from 1790 to 1850, is the story of thousands of people realizing this dream. Boat passenger service began on the Mohawk in the 1790s, using lightweight bateaux and “Durham” boats built in Schenectady to navigate the narrow channels and rapids upriver. After 1800, turnpikes competed with the river route for customers, and both became important for moving soldiers and supplies to the Lake Ontario/Lake Erie frontier during the War of 1812. The Erie Canal, completed in 1825, greatly increased the number of people traveling through the Mohawk Valley. For decades, canal packet boats—each carrying up to one hundred passengers—moved day and night through this area, the first leg of their 363-mile trip to the canal’s end at Buffalo. Although most westbound passenger traffic switched to faster railroad service in the 1840s, the Erie Canal remained a vital link in developing the Mohawk Valley’s economy throughout the nineteenth century.